I came from a family who enjoy fruits in any shape or form. I used to experiment with different fruit smoothie. 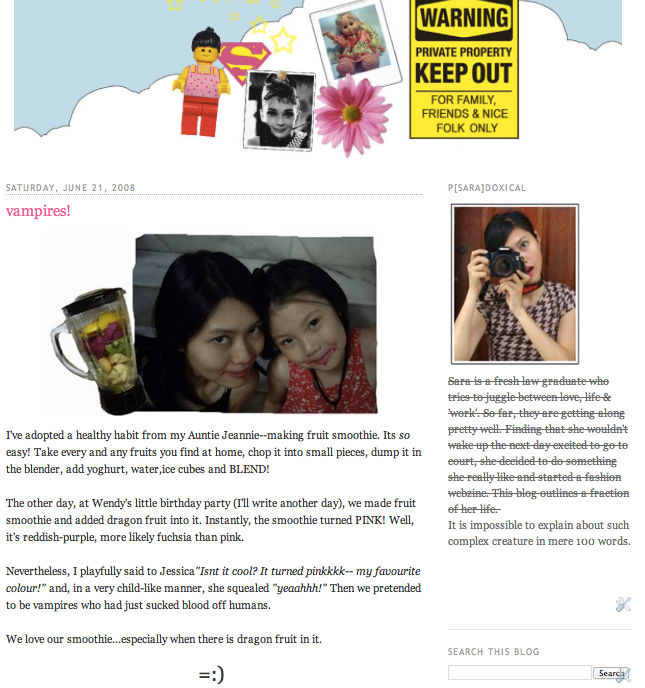 A favourite of mine is anything with dragon fruit because it’s pink and we can pretend to be vampires! 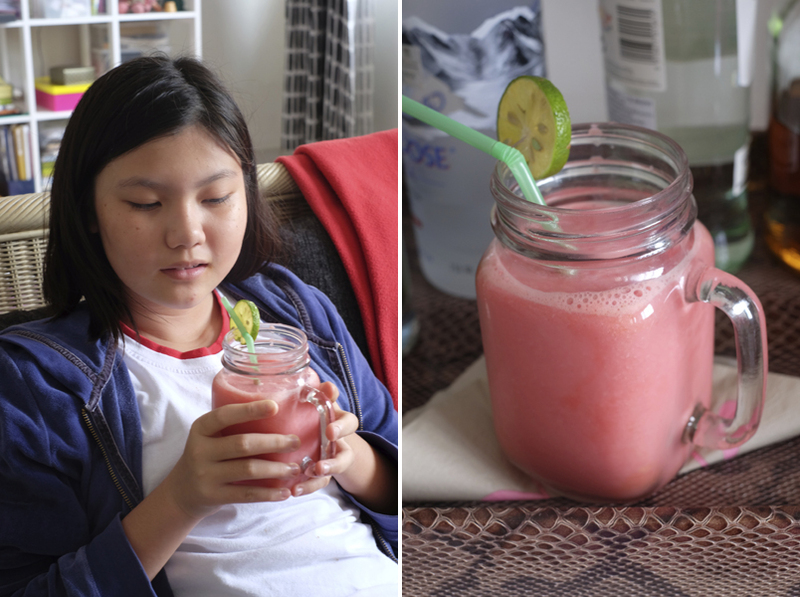 Today, my family joined me at work to make my sister’s new favourite drink: watermelon yoghurt smoothie using a secret ingredient (checkout JewelPie soon). My Mommy, Jessica and I love it! Besides the interesting flavour, I love the pastel pink colour. Isn’t it sweet?